When choosing the best holiday destinations in the world it is difficult to take into consideration every individual taste. Here is our choice! 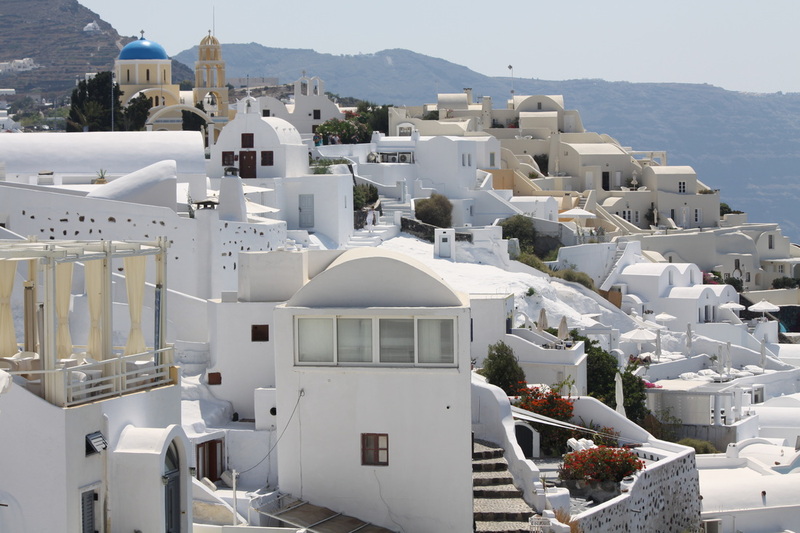 One of the most spectacular of all the Greek islands is Santorini. You may hear people refer to it as “The most beautiful place in the world” and it definitely does deserve this title. The uniqueness of this special place makes it like no other. Every year, thousands of tourists visit Santorini to discover the famous submerged caldera, the volcano’s crater, which is situated today in the middle of a 32 square miles basin of water. Around the basin, hanging on cliffs of 150m to 300m height, one can admire some of the most beautiful traditional villages of the Cyclades. The perfect most romantic holiday destination in the world. The pure white sand, lush green vegetation, rich blue of the ocean and sky, and turquoise of a thousand lagoons make the tropical Maldives islands one of the romantic picture postcard destinations of the world - but while it is regarded as one of the top honeymoon destinations of the world, it is also the perfect spot for every traveler to enjoy. The instant you cast your eyes on this remarkable city it will take your breath away. There are hundreds of waterfront and canal front developments around the world, but none have the history, beauty and character of Venice. Venice is a very popular honeymoon destination but also one of the top holiday destinations for families, couples and retirees. There is something in Venice that will win your heart. The largest living structure, the Great Barrier Reef spans more than 1,200 miles (2,000 km) of islands and submerged reefs. Visitors can stay on the Whitsunday Coast or at the island resorts, both of which provide a perfect base from which to enjoy the region, and there are countless must do experiences in the Whitsunday Islands. As a starting point to the Swiss Alps Lucerne has some of the most beautiful mountain scenery in Switzerland. A trip up one of Lucerne’s regional mountains is a must. The Pilatus or the Rigi are the queen of mountains. With a close to perfect climate every day can be taken advantage of - and the options are endless. Surfers are drawn to Bali to experience the pounding waves that seem to deliver day in day out. Adventure seekers can get close to volcanoes and peer into an active crater, or ride the rapids down the wild rivers through a beautiful tropical landscape. New York is one of our top 10 holiday destinations because it is one of the most exciting, cosmopolitan and diverse cities in the world. New York is the most highly googled location in the world with 4.6 Billion search results to Sept 2011. People looking for a fast moving, exciting holiday destination would love New York. As a holiday destination Mauritius is a very attractive option and enchants thousands of people each year looking to spend their vacation in paradise, with its turquoise seas and tropical vegetation. Mauritius is a place of unique beauty blended with peace and tranquillity.